Plateau killing: DPP expresses worry over security challenge, calls for overhaul – Royal Times of Nigeria. 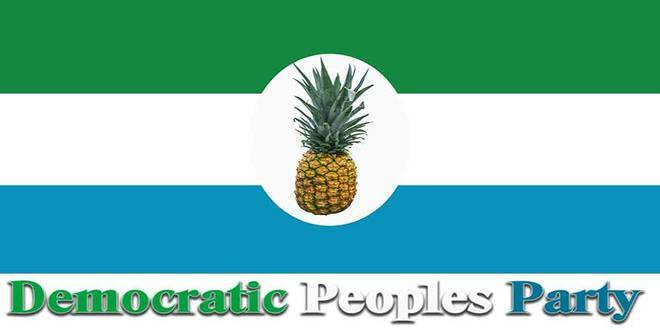 The Democratic Peoples Party, DPP, Kwara state chapter has expressed great worry at the rate at which life has become cheap with no human feeling from the nation’s political leaders. The party also frowned at the Muhammadu Buhari-led ruling All Progressive Party, APC government for allowing security matters degenerate to its present level where it said our society has become “solitary, poor, nasty, brutish, and short” as Thomas Hobbs feared. Reacting to the recent killings in Plateau state where over one hundred people were massacred by suspected herdsmen, Kwara DPP in a statement signed by its Chairman, Prophet Emmanuel Kolawole Koyenin, said the act is not only inhuman and callous but shows that the present administration is not on top of its game in putting in place practicable mechanism to secure lives and properties of citizens. DPP noted that the uproar coming from opposition figures should not be termed as political statements at this juncture because the issue at hand has to do with the lives of Nigerians and foreigners alike who visit or reside in the country. Expressing concern over the handling of the national issue, the party called for caution, noting that the Fulani herdsmen who are being accused of the attacks are also being ambushed, extorted and hacked to death. It further noted that the recurring decimation is not just a security concern but also a threat to the nations economy as commercial activities are been grounded in affected areas while foreign investors also withdraw for lack of safety. The party also berated President Muhammadu Buhari for waiting till the outcry of Nigerians before making up his mind to visit the affected state, noting that several other national leaders would have done so earlier even if just a soul was lost. While accusing the present administration of insensitivity to the plight of the masses, the DPP expressed fear that if the situation is not addressed, it may spread to other states of the federation including Kwara where herdsmen also graze. It therefore called on the federal government to implement live and economy-saving polices without delay to save lives, properties and the nations economy. DPP also called on Governor Abdulfatai Ahmed government in Kwara to be at alert and ensure it does not embrace just any policy introduced by the APC at national level for political reasons but the interest of the people who voted him into office. The party further urged political office holders to leave the office for capable individuals instead of toying with the people’s lives.